Not really. dCS created their own filters for MQA. I did not mean to imply that the fundamentals behind musicianship such as talent is not there. It’s just not being given the opportunity to develop in as many people as in the past, and the appreciation is not as widespread. Again, other things are more important now to the general population. I wonder about the “spread” of music through youtube, streaming, etc. I think the labels are right to see that there has been significant and rapid decline in the value the general population places on their product. Their diagnosis (e.g. “piracy” and file sharing) of the cause is wrong. It’s just not being given the opportunity to develop in as many people as in the past, and the appreciation is not as widespread. Again, other things are more important now to the general population. Not sure about that - and if true, the same could be said for Gen-Xers and even for boomers: from the second the radio showed up, you could get a better quartet in your home than what you could patch together from your kids, siblings, or neighbours. I agree with you on the rest, and I do think it’s a factor in terms of appreciation and significance given to music in general, simply because once you realise how damn difficult what the people in the gramophone are doing really is, you give it more attention, but I really don’t agree with the idea there’s some sort of true decline. It’s present elsewhere in the analog world, eh - I’d rather have them whippersnappers spend their evenings destroying their eyes over little house in the prairie than over Gundam or Assassin’s Creed, but with music, it feels like it’s just more of a mutation. it cost me not one penny extra. Sounds like native MQA filters are not good enough for dCS implementation. Excuse me! But I wonder why? Streaming is more popular than downloading for the majority these days - so which is the best music streaming service? High quality audio with wide range of content. The most advanced streaming ecosystem out there, but not necessarily the best value. It’s this what’s making me confused! Tidal’s hi-res streams sound better? 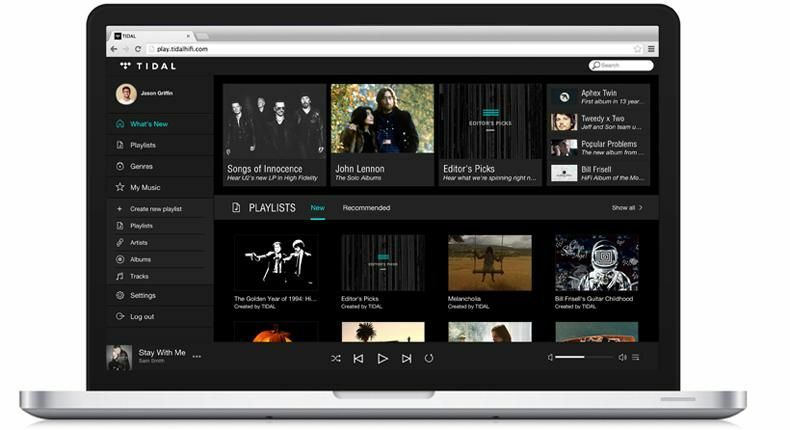 Must by: Tidal’s hi-res streams sound better! Meaning Tidal’s hi-res = MQA! Or have I missed! That Tidal have hi-res? If you wonder who’s come on nr 1 and 3 place? Easy to use and to discover new music. An appealing streaming service with intelligent curation, a vast catalogue and good sound quality. We always support our branding. It is pride of British people. If there’s a certain bias to the whole review, it will not be surprised other magazines will do the opposite. Guys, get over it. Whathifi? 's target segment is NOT the audiophile niche (although they did review dCS Rossini), but rather the person looking for good audio quality at reasonable cost (whatever that is). If they were targeting audiophiles, why would Spotify be #1? MQA is not bad per se. Actually its quite a feat to squeeze “almost hires” quality into a file less than half the size of PCM hires. I cannot tell the difference upon a casual listen. I have to compare with high attentiveness on an extremely high resolution system (said dCS Rossini with the wonderful bespoke MQA filters) to hear any difference at all. For the average Joe, MQA will sound exactly the same as PCM, or better than PCM, if he expects it to be better. MQA is targeted at the mass market, not at a specialized niche. Tidal is clearly a mass market streaming service. The two go together well. Qobuz is much smaller than Tidal and more of a niche oriented service targeted at Classical and Jazz lovers who care about audio quality. Totally agree with everything you’ve said. Bravo! Really? Spotify and Apple Music are dominant players in mass market when you come to streaming. Do I see any mass market adoption on MQA more than 4 years after its launch? Kind a bold statement you made but I understand the ignorance of not doing your research here. MQA is now available on smart phones. ‘Nuff said! I disagree. It is relatively easy to hear what’s wrong with MQA, provided you can switch A to B. Of course, if you pick a random track then making an accurate call can be much more difficult. In this sense I am more in agreement with all the proponents of MQA - there is definitely a difference. No doubt about it, the MQA file is not the same as the original Master. Kind a bold statement you made but I understand the ignorance of not doing your research here. @MusicFidelity I said “targeted”. I did not say it IS a mass market product. But I understand the ignorance of not reading carefully here. I can say almost all phones can playback FLAC, that’s I said is a mass market adoption!